To the fore cycling jerseys is made of breathable and soft material, 100% polyester, large-capacity pocket design, antibacterial, deodorant, UV protection. Superior product quality, cheap, is definitely the best choice. 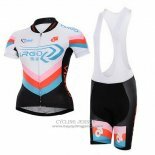 Welcome to buy the fore the cycling jerseys, we will provide the best quality products and the most attentive service.